Spanish forward Alvaro Morata recently joined the arch-rivals of his former La Liga team, Real Madrid on an 18-month loan from Chelsea. 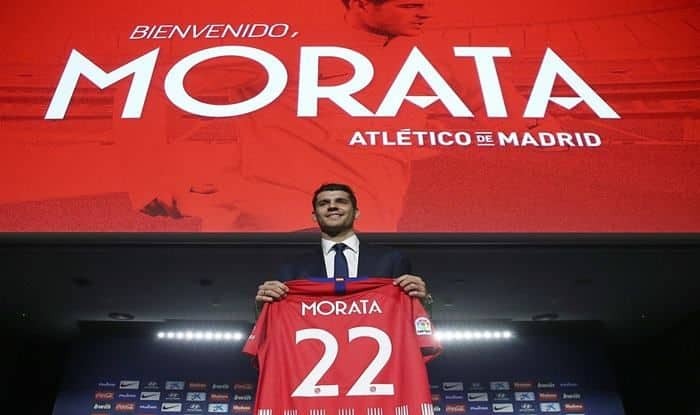 Spanish forward Alvaro Morata recently joined Atletico Madrid – the arch-rivals of his former La Liga team, Real Madrid, on an 18-month loan from Chelsea. He revealed that the move was ‘dream come true’ for him. The 26-year-old Spain was officially presented to the press on Tuesday and is likely to be featured in the squad from the next match.  @AlvaroMorata on Tuesday trained with his new teammates for the first time!